Maps: Explorer OL7 - South East Lakes. 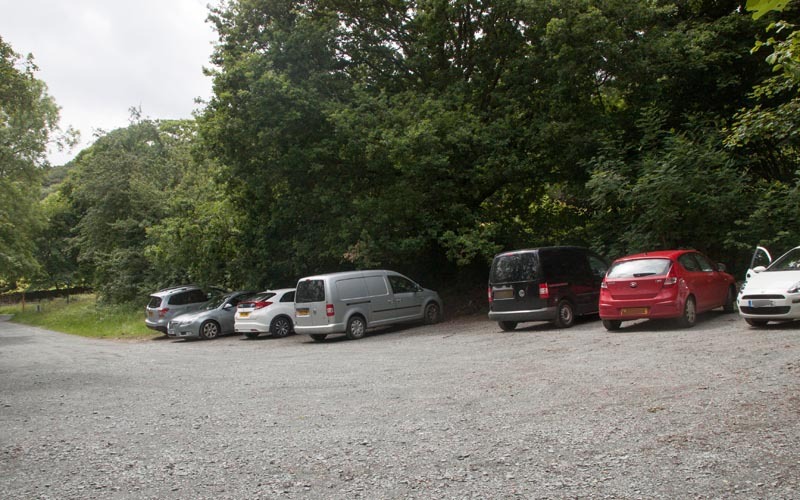 Start & Finish: SD 386 994 935 - Red Nab Car Park, on the western shore of Lake Windermere. 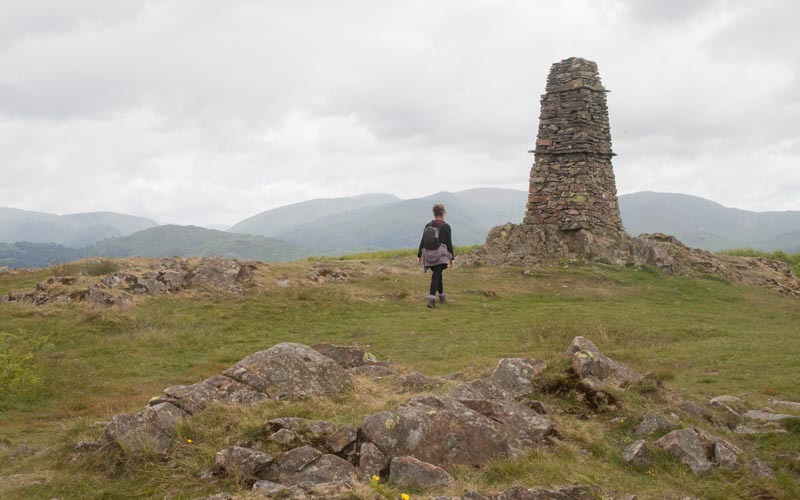 Route: Reaching just over 800 feet (245 metres) Latterbarrow may not be among the highest of Lakeland's peaks - but there are great views from the summit. 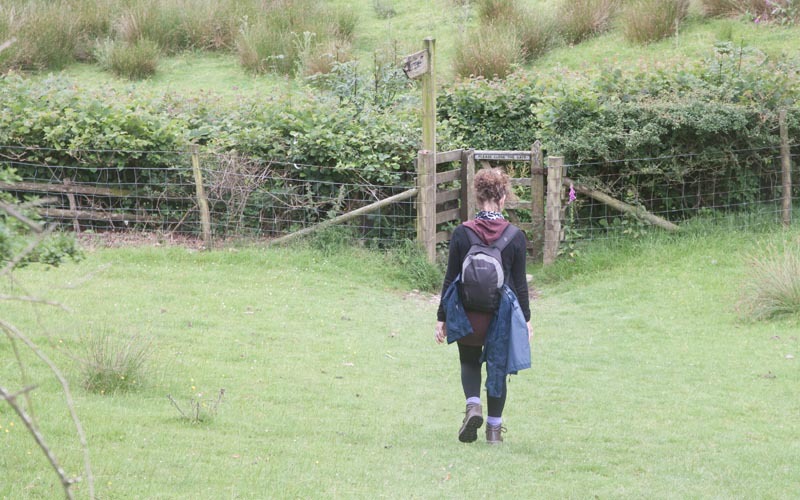 This walk is almost linear, with a loop in the middle. 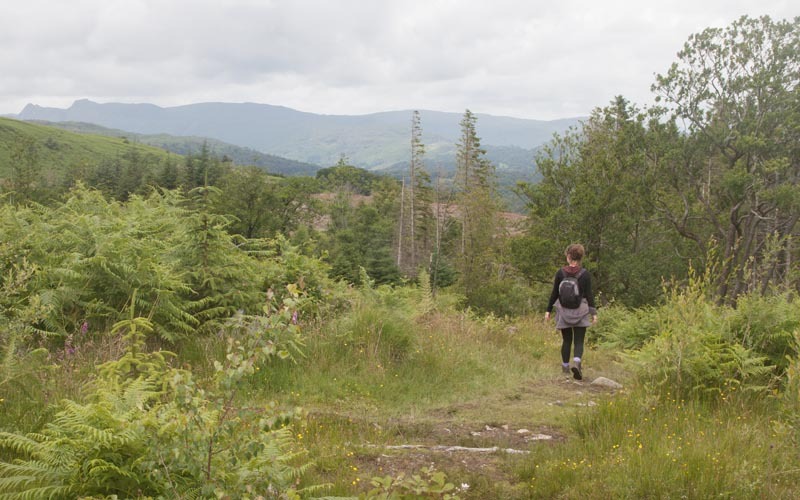 The route mainly follows forestry tracks - exceptions to this are the narrower, fairly steep sections leading to and from the summit. 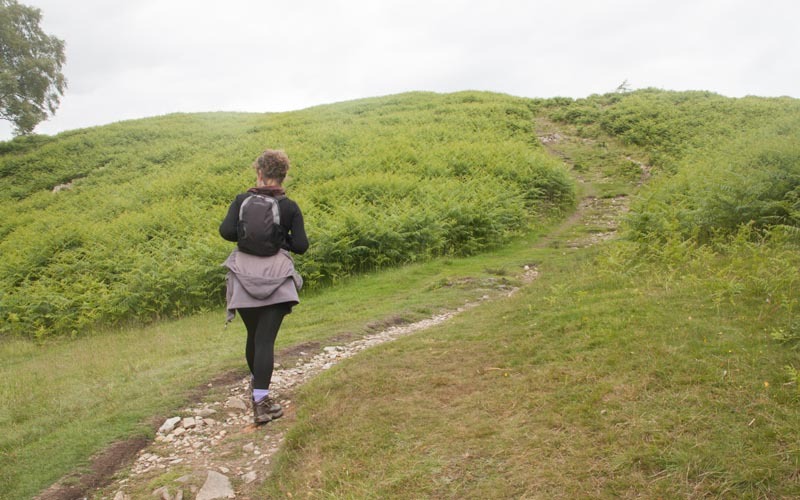 The walk can easily be shortened by missing out Hawkshead - or by starting at Hawkshead and not walking all the way to Red Nab - alternatively, if starting from Hawkshead it could be lengthened by continuing beyond Red Nab along the track to Wray Castle. 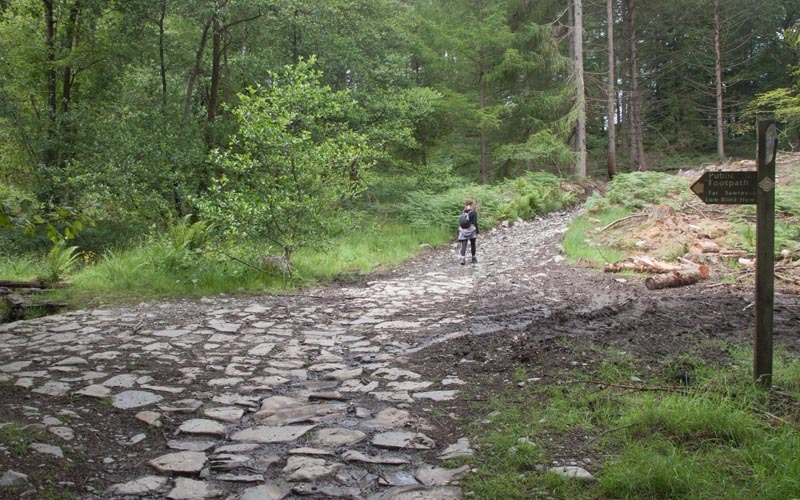 Links to route files: Ordnance Survey OS Maps online (only available to OSMaps subscribers) or .gpx (expored from OSMaps - for many handheld devices). 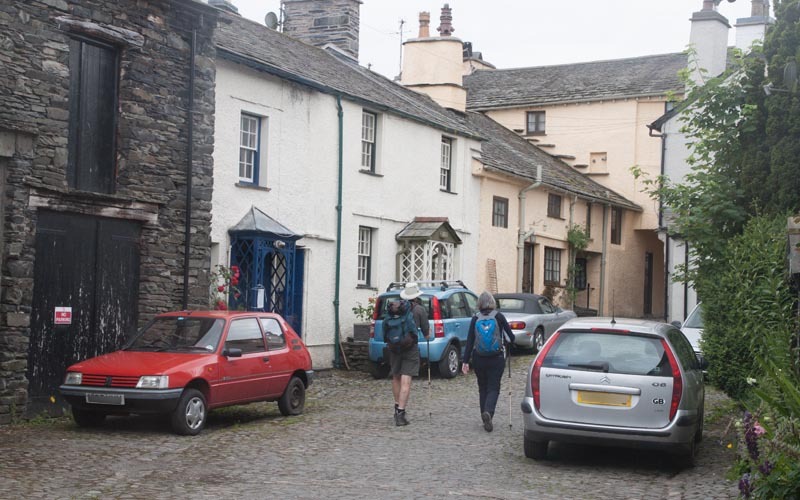 Refreshments: A wide range of pubs and cafes in Hawkshead. 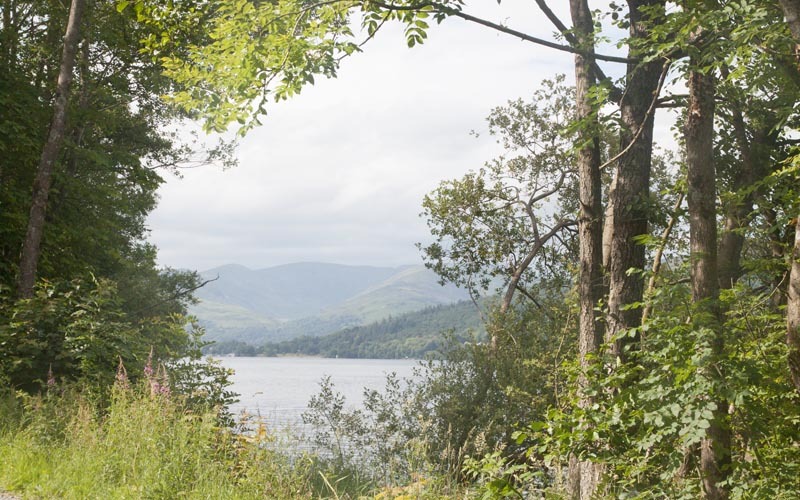 … and follow the track south, parallel to the lake shore. … to the junction of tracks pictured. 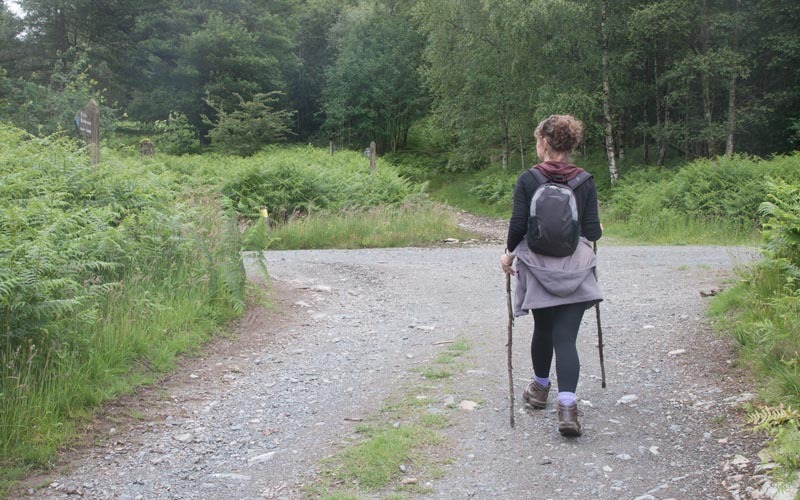 Continue ahead and uphill (signed Hawkshead via Guide Posts). 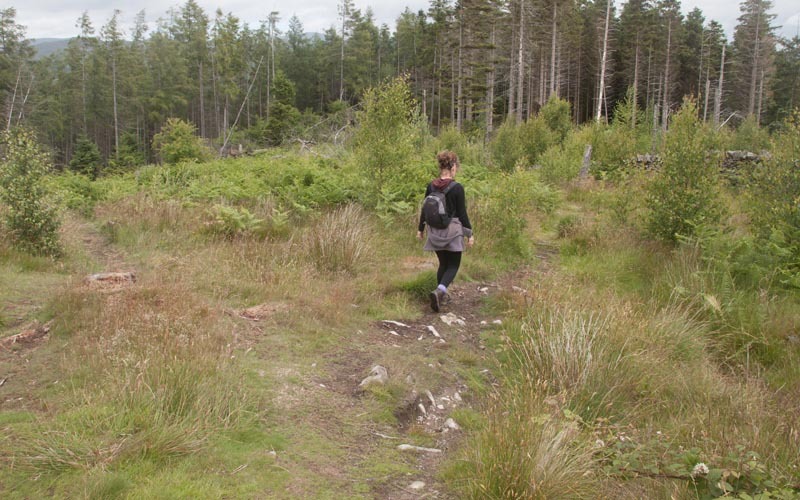 You pass an interpretation board at Scab Moss, a clearing in the forest where the peat bog has been recently restored. 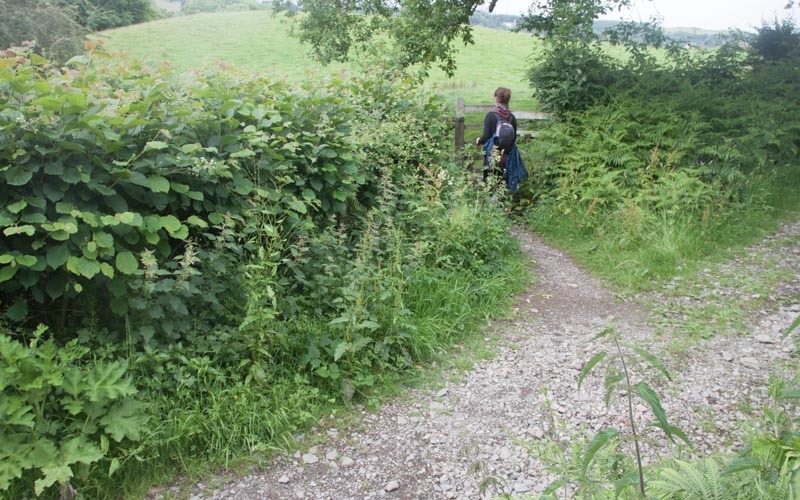 … and where the path divides, just a few metres further on, take the right hand fork (once again signed Hawkshead via Guide Posts). … and then right, following the yellow footpath arrow. 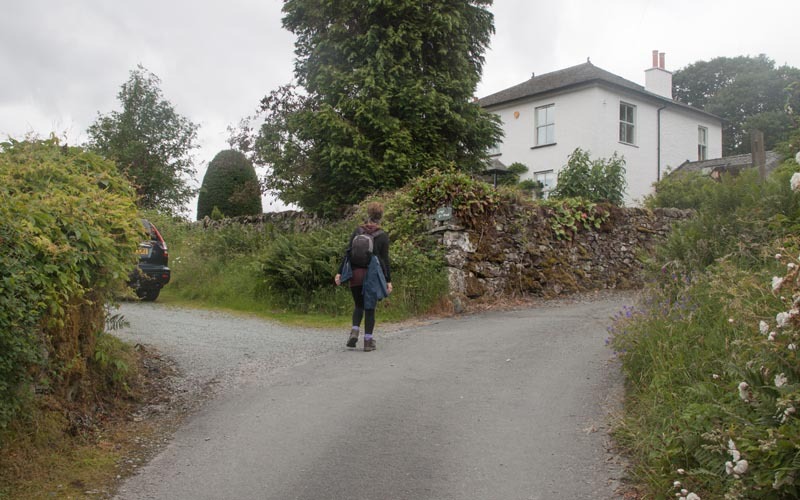 If you're following a shortened version of the walk from Hawkshead, you will have approached this junction from the opposite direction - so turn left here to head towards Latterbarrow. 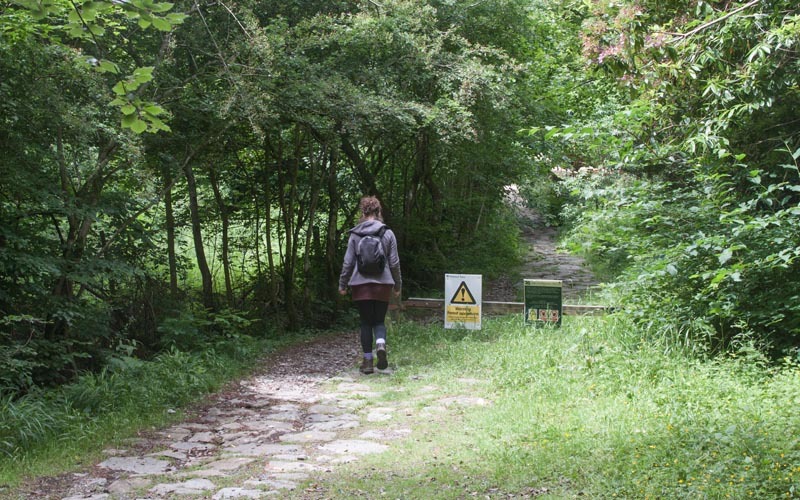 The path is much narrower, but is no longer entirely uphill (though the downhill stretches are followed by further climbs). 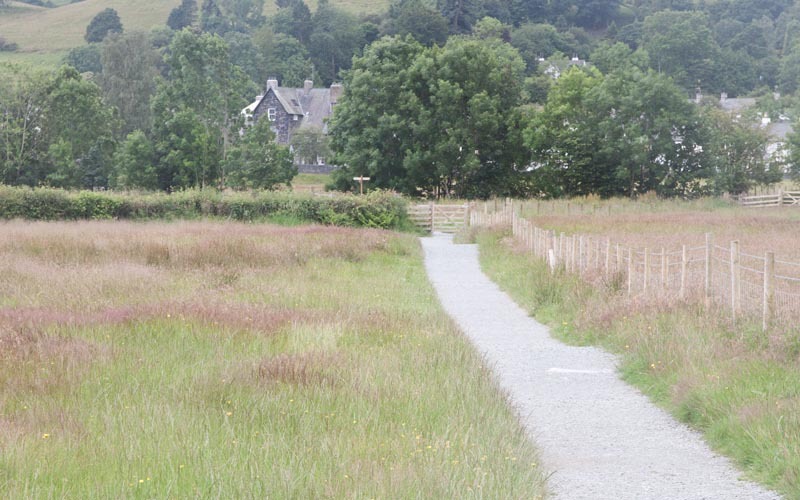 This part of the route also provides views across to the Langdales. 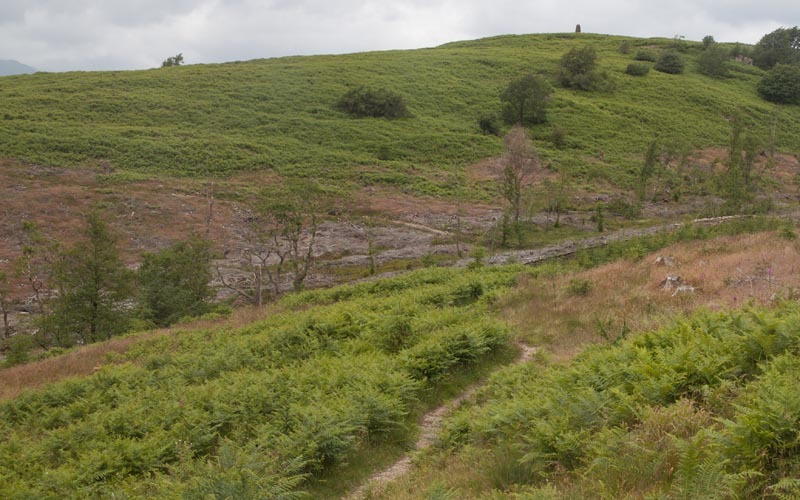 This is the last descent before the final ascent to the top of Latterbarrow - the monument at the summit is just visible in the photograph. Before climbing again the path has logs laid across what must often be a boggy stretch (though it was dry on the day that we walked the route). 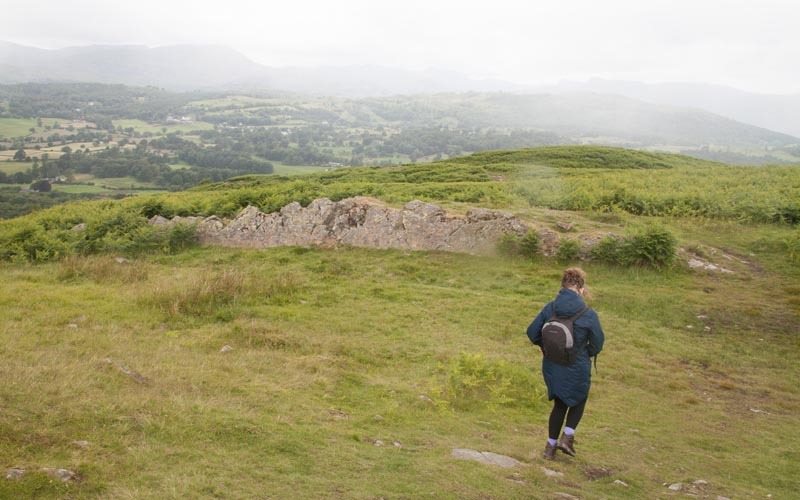 … to Latterbarrow's summit. There are splendid views in all directions (on a clear day). The origins of the beacon or monument seem appear to be unknown - there is no plaque and an internet search revealed nothing. 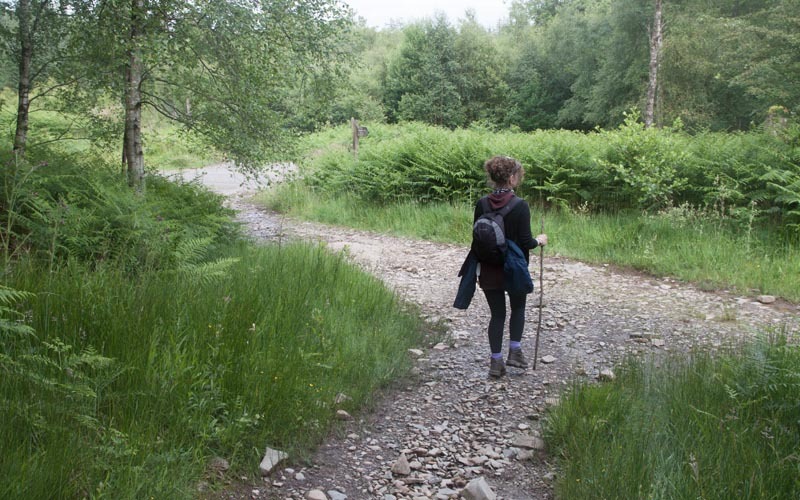 Leave the summit by following path initially leading north west. 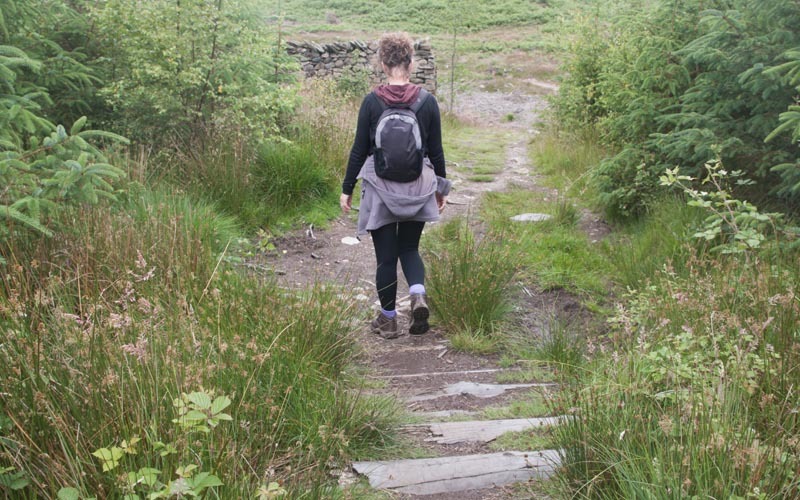 The descent is steeper than the ascent. 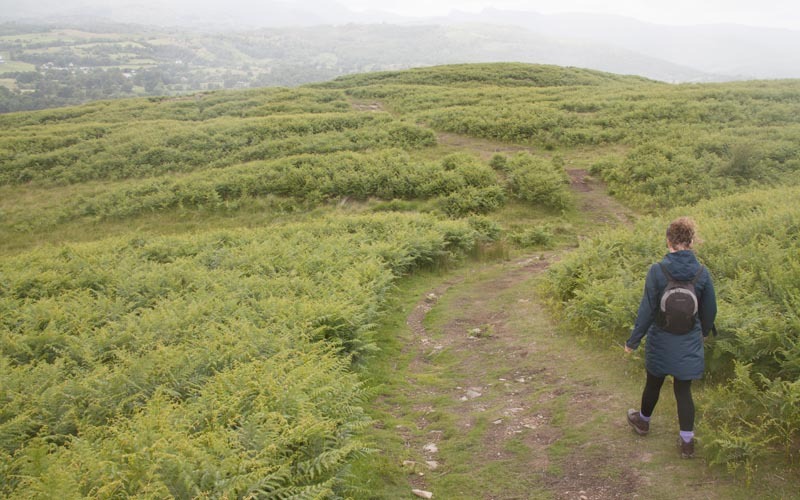 Soon after leaving the top the path becomes wider and curves gradually to the left. 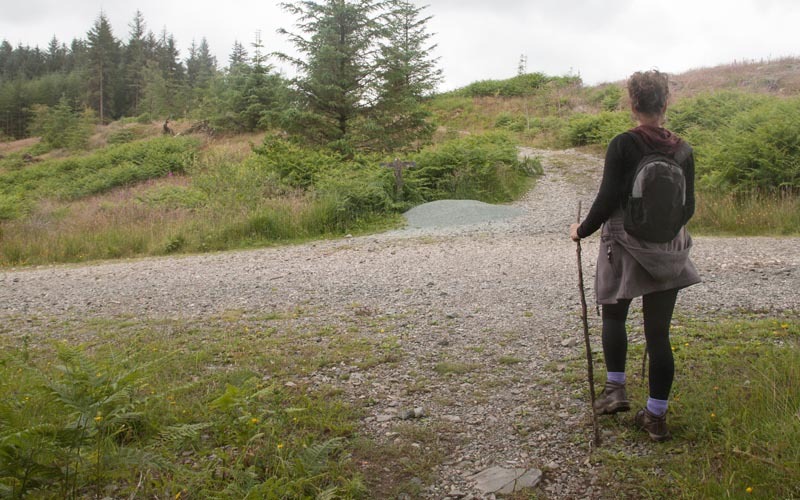 At the junction pictured turn right (if you wish to shorten the walk, you can turn left, following the track for about 450 metres to the wooden stile at the foot of the final climb, from where you can retrace your steps to Red Nab). 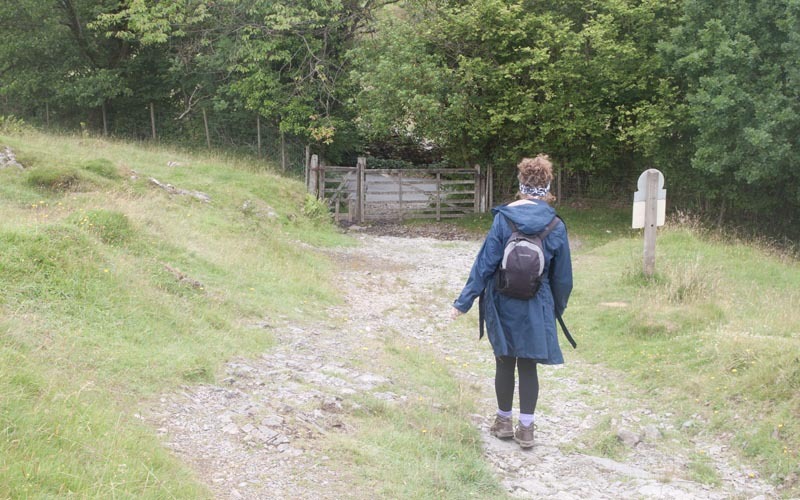 Continue down the stony track, pass through the wooden gate and then turn left onto a minor road. Follow the road for just less than half a mile until you reach the junction pictured. 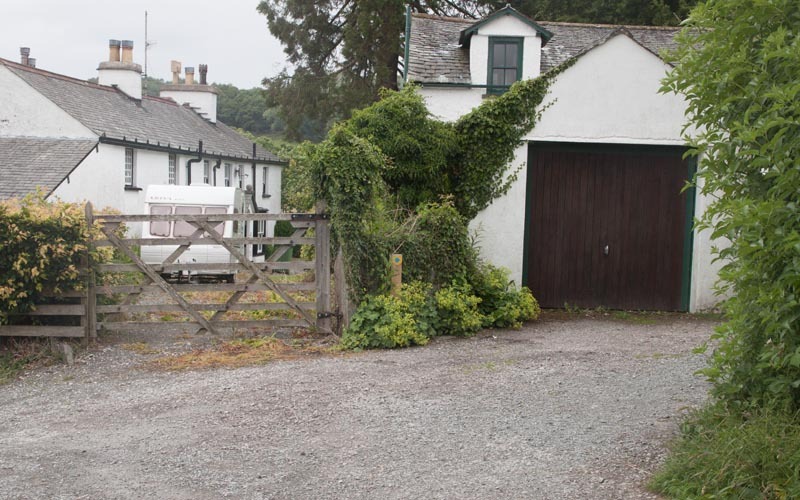 It looks more like a drive than a public road, with the house names Croft Head and Croftlands above a gatepost. 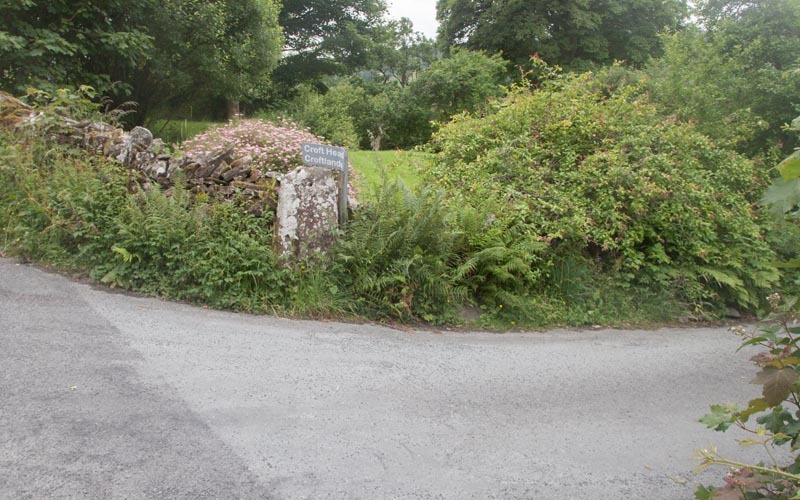 A few metres along the lane turn left along the driveway (there's a sign painted on slate saying Croft Head). 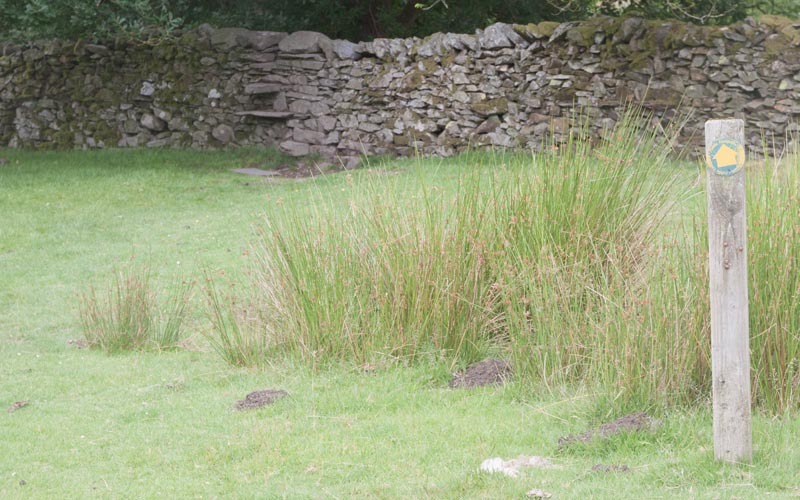 … turn right and walk along to the right of the fence. At the end of the fence pass through a gap in a stone wall and turn left. 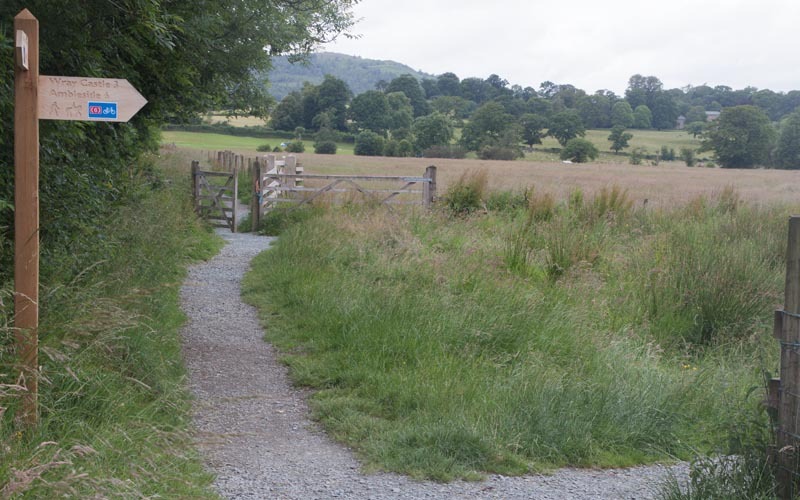 Walk through the field - the way is marked with footpath signs on wooden posts. … a wooden kissing gate which leads to a lane. … are well signed and pass through a number of wooden gates, before crossing the B5285 main road. Once across the road a narrow roadway leads between building and you emerge under an archway onto Main Street. 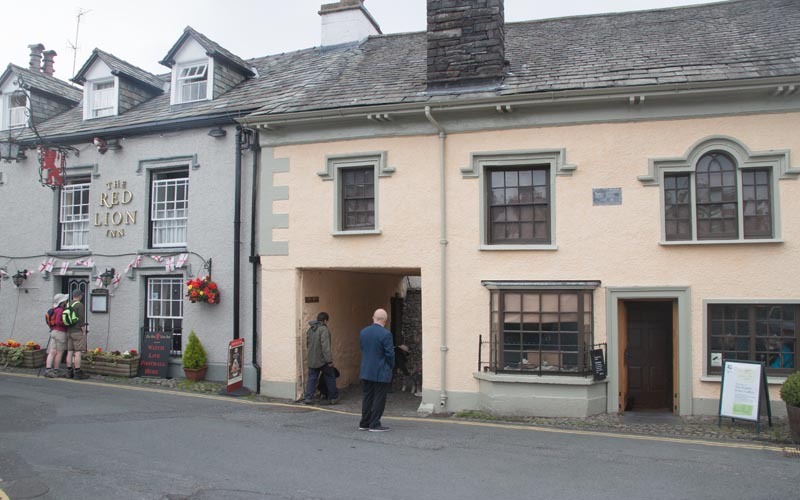 There are plenty of pubs and cafes in the village, the National Trust's Beatrix Potter Gallery and Hawkshead Grammar School (one of the former pupils was William Wordsworth) - also shops and public toilets! 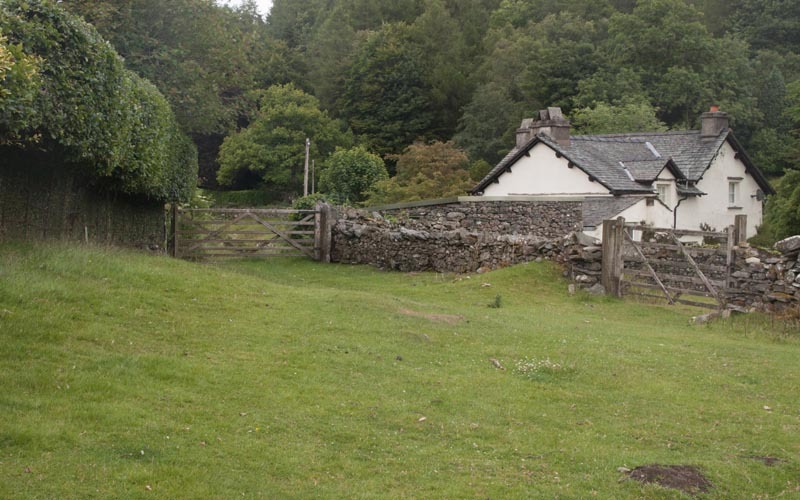 After exploring the village, return by retracing your steps through the archway between the Red Lion and the National Trusts' Beatrix Potter Gallery. 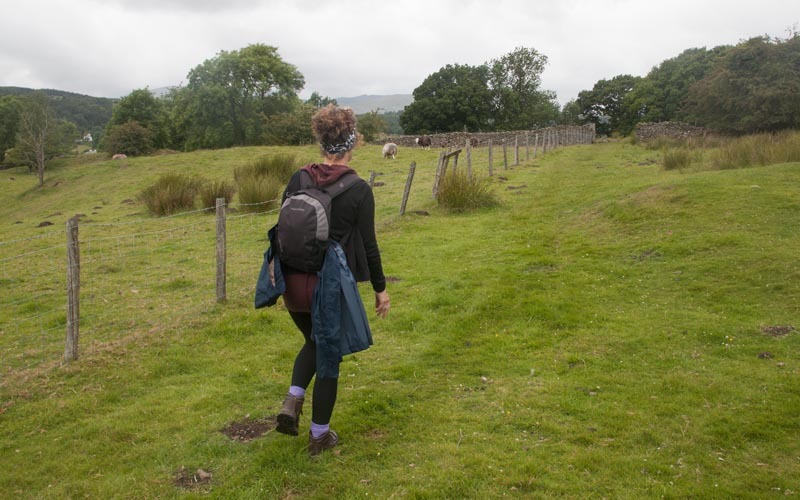 Note - I have included more photographs and fuller descriptions of the return journey than would normally be the case for a mainly linear walk. 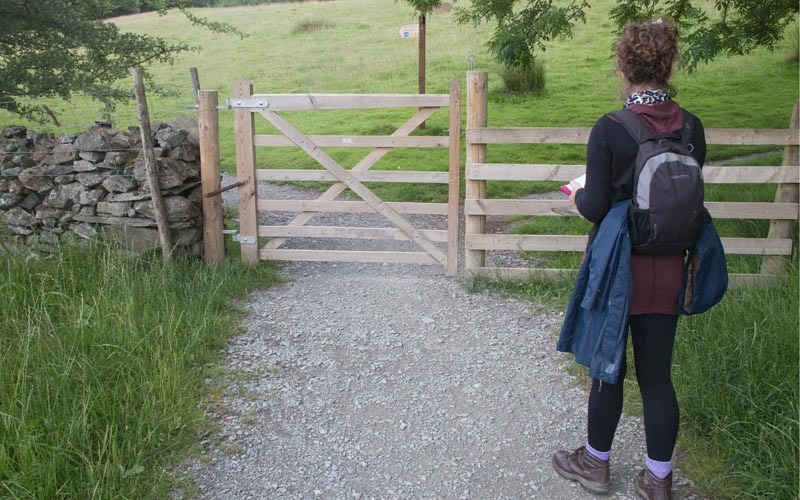 This is for the benefit anyone starting the walk from Hawkshead. Cross the the B5285 main road and follow the pathway, bearing right in front of the garage pictured. 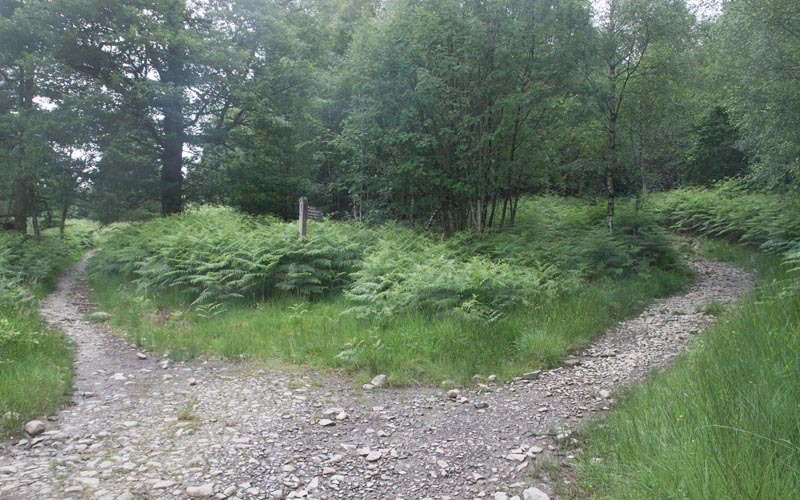 … this junction of paths. Turn right following the sign for Wray Castle and Ambleside. Go through a wooden gate, then the gate pictured. 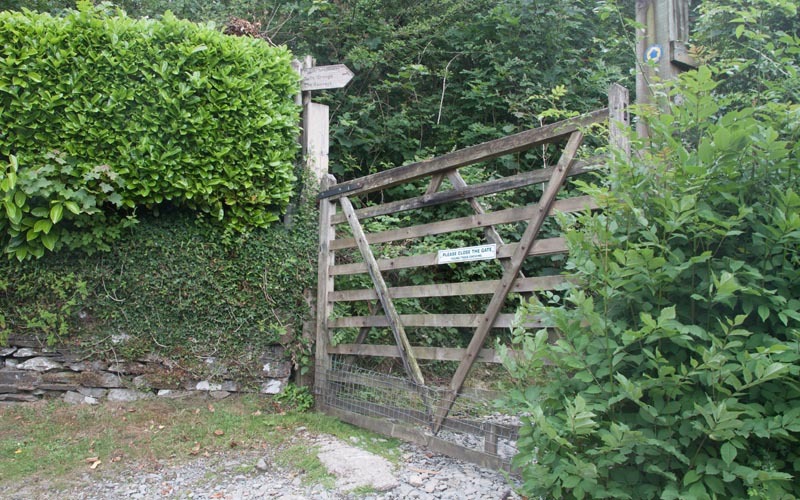 Once through this gate bear right, following the sign for Colthouse. 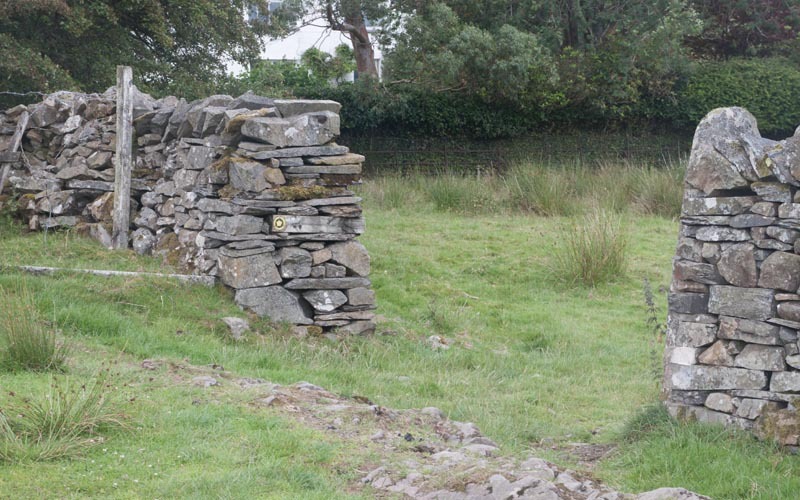 The path dog-legs across a stony lane, up to a stone stile and then through a field with marker posts to show the way. … until you reach the end of the field. 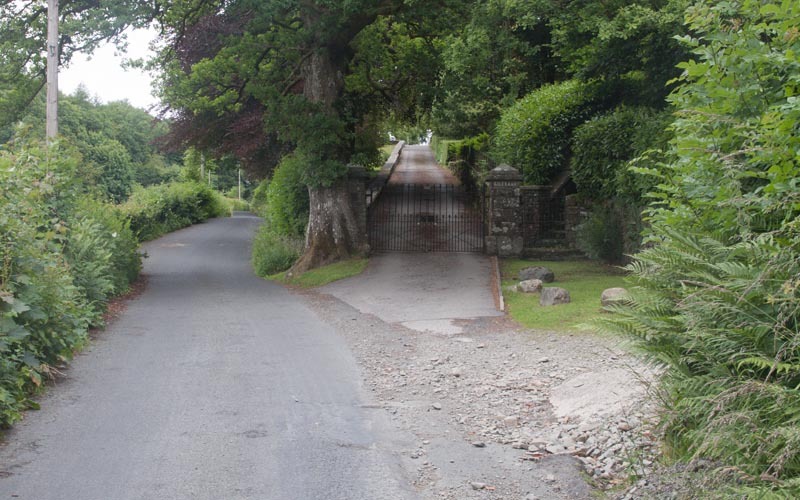 Turn left and go through the wooden gate that leads onto a drive. Follow the short drive and then turn right on to narrow lane. At the end of the lane turn left onto a minor road. 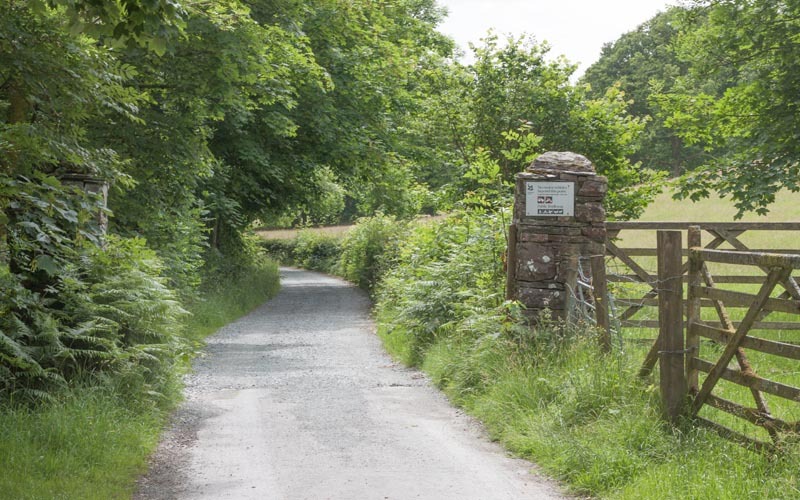 … passing through this gate (following sign: Public Bridleway, The Sawreys, Belle Grange). 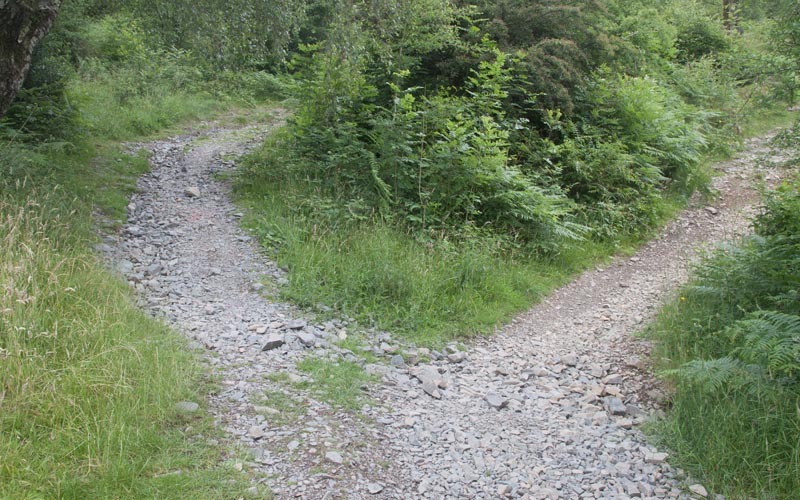 Where the path divides it really doesn't matter which way you go! 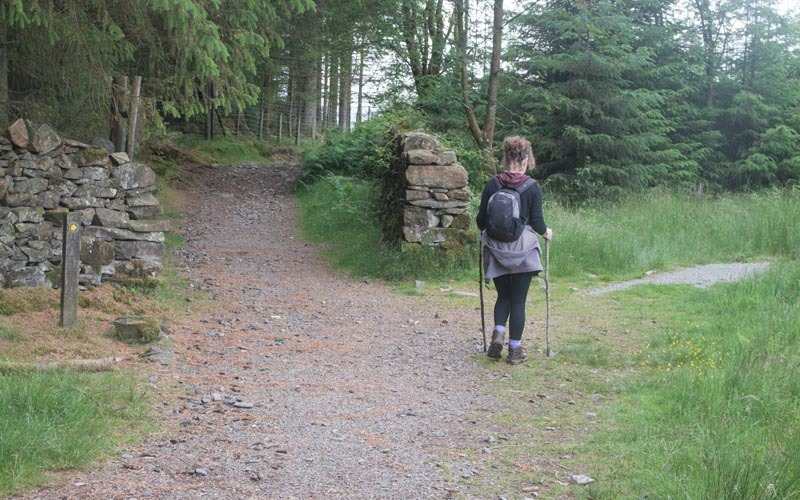 The two paths meet up a few metres further on! 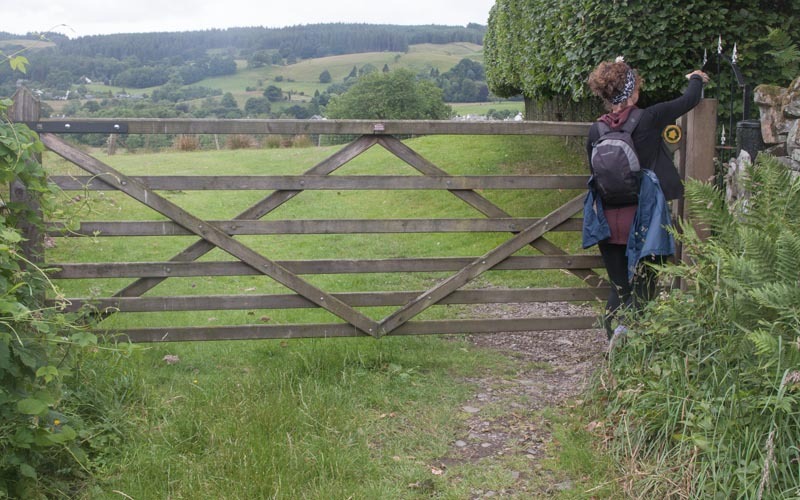 Shortly after this there's another gate to pass through, then another gate further on. 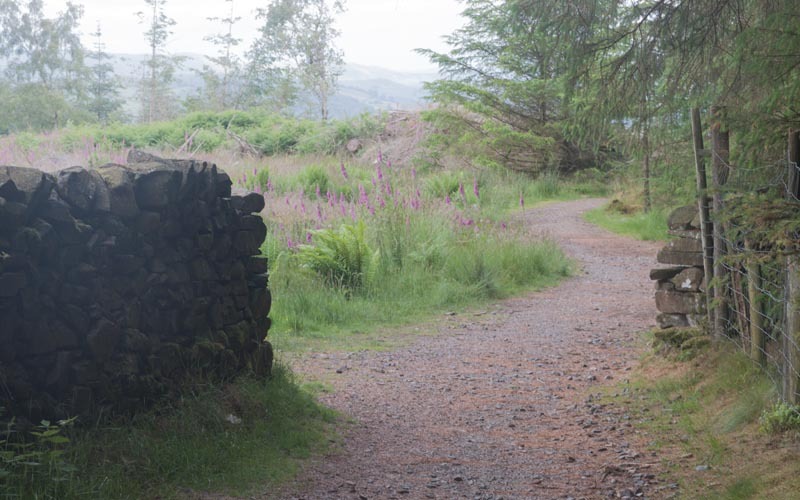 At the end of the stone wall on the left you meet the outward route. To return to Red Nab continue ahead. 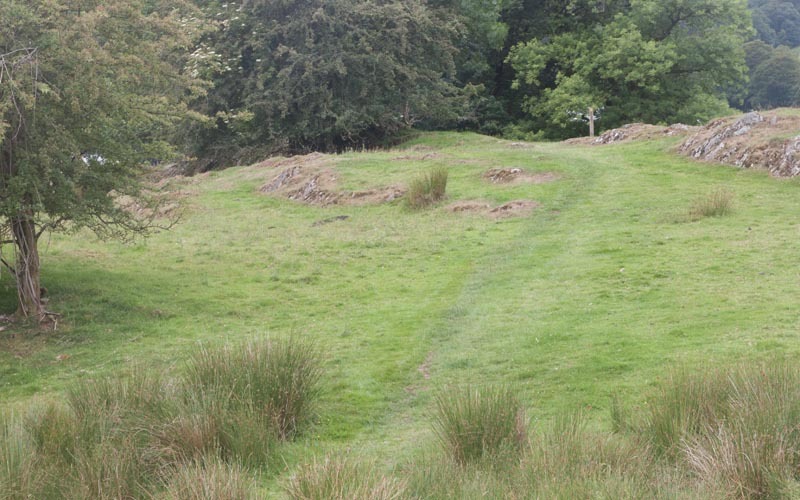 If you started the walk at Hawkshead and just wish to climb Latterbarrow (rather than continue to Lake Windermere) and return to the village, turn left here and then follow this part of the route. Go straight across the first track that you meet, then turn left at the junction pictured. After only a few metres go straight across another track (all the time following signs for Belle Grange). 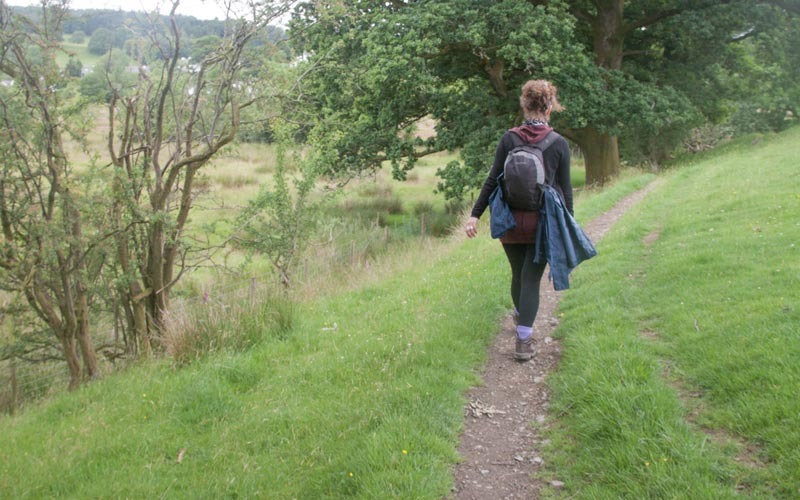 When you reach the path that runs alongside the lake turn left to return to the car park at Red Nab. 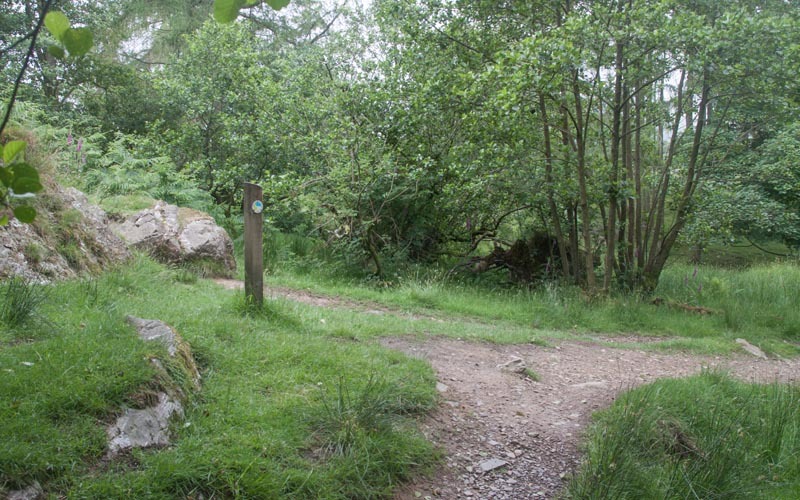 If you have started from Hawkshead and wish to walk to Wray Castle, turn into the car park at Red Nab and follow the track leading out of the northern end. 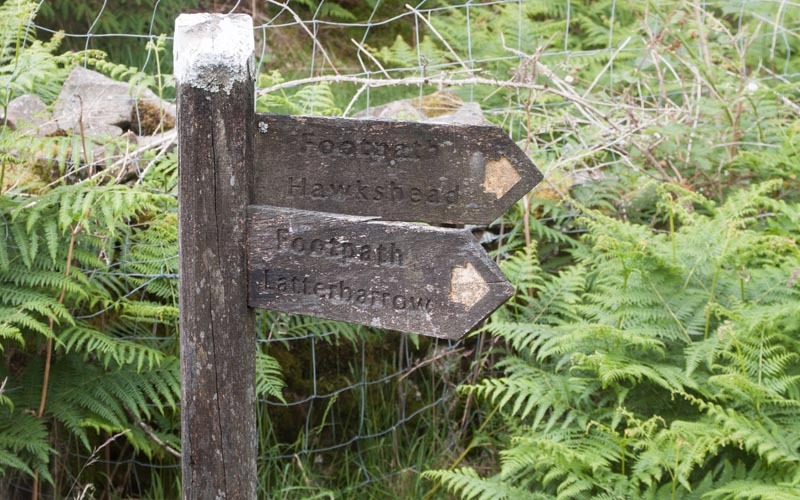 Click here to follow the directions from Red Nab back to Hawkshead via the summit of Latterbarrow.